It's estimated that over $20 billion a year is spent on unnecessary auto repairs due to incompetence and fraud. Auto repairs can be expensive, especially when you don't need them. Some of our competitors advertise a low price just to get you in the door and then sell you more than you expected. Did you really need the repairs they suggested? Did they show you what was wrong with the car and explain your problem so you could make an informed decision? Did you pay what they quoted or was it more? At Affordable Automotive in Canton, Michigan we are your 'Mechanics with a Conscience.' We'll diagnose the real issues with your car and give you an honest estimate on only the repairs that you need. We have over 60 years of combined automotive experience and will fix your car right the first time - guaranteed. The dictionary defines conscience as: the awareness of a moral or ethical aspect to one's conduct, with the urge to prefer or demand right over wrong. At Affordable Automotive this is more than just a tag line. It's our belief and the way we do business. When you bring your vehicle in for auto repair service, you will get an honest evaluation, estimate, or repair at an affordable and reasonable price. We have been providing auto repair service in the Detroit metro are for many years and have helped thousands of satisfied customers. We will never sell you a repair that you do not need. We will give you an honest assessment of your vehicle's condition. We will take the time to carefully diagnose the specific needs of your vehicle. We will show you and explain to you, in plain English, the repairs your vehicle needs. We will only make repairs only when you understand the problem and after you give us permission. We will give you a honest, written estimate of the repairs before work begins. We will educate you on common repairs issues specific to your vehicles make, model and year. 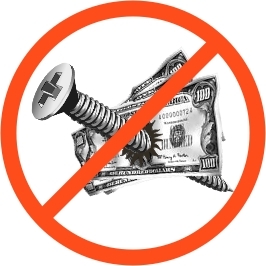 We will never try to sell or recommend extra items or services just to increase the total amount of your repair bill! Call us today to schedule you appointment at 734-454-4804. At Affordable Automotive, we supply auto repair service for the Detroit Metro region. staff of trustworthy mechanics are here to serve you and your auto repair needs. Download our free ebook to learn how to increase gas mileage by10%! Safety - Above all your vehicle must be safe. It's our duty to inform you of repairs your car needs to safely operate on the road. When safety is compromised you put yourself and other drivers in danger every time you leave your driveway. Reliability - Your vehicle must perform properly when you need it. This requires more auto repair service than just a regular, quick oil change. It means paying attention to all of the operating systems that you rely on every time you start your car. Comfort - When it comes to auto maintenance and repair, comfort is really your confidence and peace of mind. When we service your car, we want you to know what work we performed and why it was necessary. That way you can drive knowing that your car is running like it should without worries. These beliefs form our core philosophy. Honesty and integrity are not optional at Affordable Automotive; it's how we operate our business everyday. We supply auto repair service for a wide variety of makes and models, domestic and foreign, in the Metro Detroit and Southeast Michigan area. Our specialty is Ford products. Call us today to schedule your appointment and discover a real difference in service and quality.